#bunnyalong 2018 – Spread the joy! Leave a Comment on #bunnyalong 2018 – Spread the joy! I love bunnies. I love making amigurumi bunnies and wearing bunny inspired crochet slippers. When I was a kid I was a huge, huge fan of Bugs Bunny, which probably explains why I love rabbits so much. Because Easter is a few weeks away, I thought the best and easiest way to bring joy to my world is through good deeds and … bunnies. So last night I started working on a very, very easy bunny pattern which I’m going to share with you in a few days. You can make these bunnies yourself and spread the joy in your own world. But there are so many incredible and easy patterns for crochet rabbits out there. 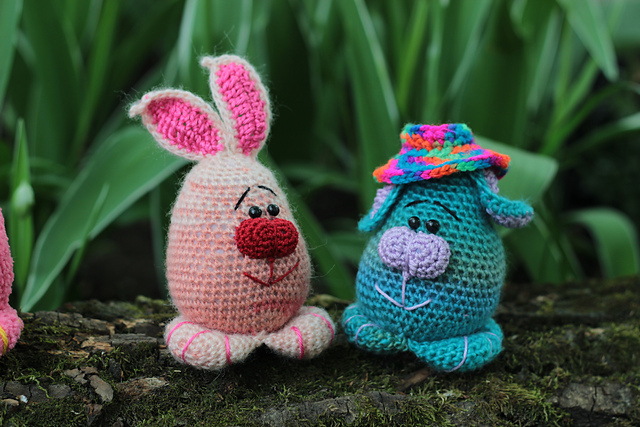 Two years ago I made these furries following a pattern by Joanne Jordan – free on Ravelry. Why join the #bunnyalong18? Because it’s fun! And a little fun never hurt anyone. And it’s a wonderful opportunity to bring more joy to the people you love. Will be back with my 2 new bunnies, stay tuned!